Dear reader, welcome to the fuel cell site. If you’re reading this blog, it’s certainly because you heard about the promising technology of fuel cell and want to learn more about it. In this blog, i’ll try to introduce you the concept of fuel cell, how it works, what are the limits of its commercialisation, and the fuel cell role in the world of tomorrow. This blog doesn’t aim to make you an expert of fuel cells, but to raise your awareness of the big potential of this technology. What is a fuel cell ? To be clear, a fuel cell is a wonderful way to release electricity without emitting pollution. 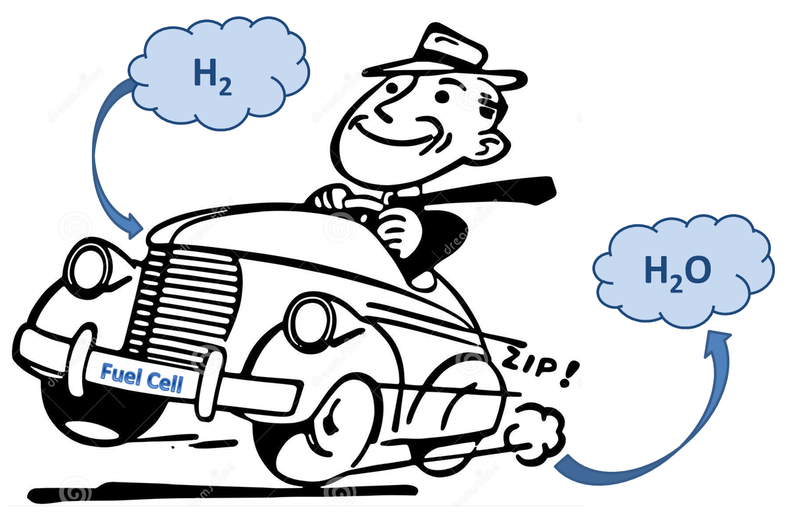 Indeed, fuel cell produce electricity by combining gazes of H2 and 02 to form steam. This technology is gonna be the key for the gestion of energy in the future because it answers to two fundamentals problematic the world is going to confront itself to : power management and increase of atmosphere pollution. Indeed, fuel cell utilisation need permit to stock energy in the form of hydrogen, which permit renewable energy development. By emitting only water, fuel cell utilisation (in cars for example), will increase atmosphere quality. Who am I to hold this blog ? I work as a trainee engineer in a french laboratory of the prestigious Mines PARISTECH school : the Centre des Matériaux (CdM or Materials Center). Studing materials studies at Polytech Paris-Sud, it’s been two years I work on fuel cells, and I see now its enormous potential, such enormous I seriously start to think to follow my carrier working on this technology. I would like know if you talk about how did they product this cell ? Well I’ll talk about technics to produce cells in a laboratory. And yes it would be interresting to see how they apply it in industries. I think that with the new Toyota Car : Mirai working with a fuel cell, it will be possible to see a little bit more industrial manufacturing process.